Mr. St. John is a Partner and member of the Transactional Department of the Firm. Mr. St. John has more than thirty years’ experience in transactional and corporate matters, including mergers, acquisitions, financing, computer hardware and software, internet, data sharing and processing and licensing of intellectual property. 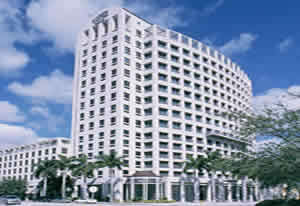 From 2002 until acquired by The McClatchy Company, Mr. St. John provided representation to The Miami Herald Publishing Company with respect to all of its corporate transactions, including purchase and sales of printing presses, general contracts, employment matters, purchase and sale of assets and business, advertising agreements, sponsorship agreements, licensing, data processing, data storage, video on demand, internet, software, font licenses, computer and other intellectual property issues. Prior to The Miami Herald, Mr. St. John acted as general counsel for BellSouth International Wireless Services from 1998 until 2002 (at which time the company was sold to VeriSign) and he routinely drafted and negotiated all of its contracts and business transactions relating to the building of a network of cellular telephone providers throughout Latin America. In addition to routine matters, this work required a working knowledge of telephony communications and involved network agreements, net-settlement agreements, acquisition of pre-paid platforms, computers, routers and other communications equipment, software and revenue contracts. He helped the Company create Global Net which provided net-settlement services similar to the services provided by Cibernet. 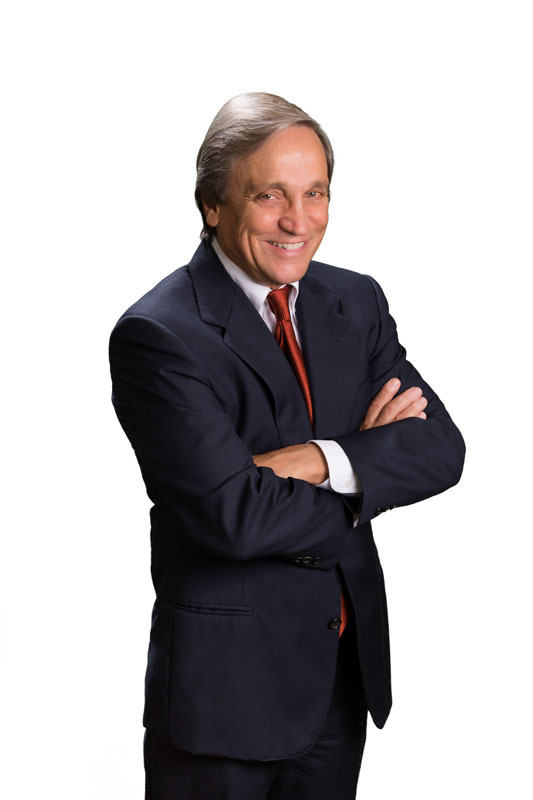 Mr. St. John acted as general counsel for Modular Computer Systems, Inc. from 1992 until 1998 and provided representation for Modcomp’s sale and licensing of computer hardware and software throughout the U.S. and in foreign countries. (Modcomp pioneered “modular” parts for computers as well as “real time” databases and their computers were used in connection with guidance of ICBM’s and steel and aluminum plants). He also provided legal services to Racal Milgo, which at the time was the world’s largest manufacturer of military modems. From 1989 until 1993, Mr. St. John was general counsel for United Healthcare of Florida, Inc. (formerly known as Ramsay HMO) and he (i) completed 1,500 new provider agreements in one year; (ii) handled all acquisitions of medical centers and doctor’s practices, including the acquisition of Mt. Sinai HMO; (iii) devised all patient forms and benefit plans; and, (iv) numerous other services. In the course of representing a large multi-national corporation, Mr. St. John successfully negotiated a contract with Orange County, Florida for the construction and operation of a multi-million dollar materials recycling facility to be located in Orlando, Florida. In the past, he also represented the Florida subsidiary of a multi-billion dollar French company in its bid to construct and operate a hundred million dollar co-generation plant in Pasco County and the sale of its electrical generation plant in Key West, Florida. He also negotiated and drafted a multi-million dollar stock acquisition of a company specializing in the incineration of biological-pathological waste. Mr. St. John has incorporated, organized and advised many charities that are tax exempt entities under 501 of the Internal Revenue Code of 1986, including tax qualified private and charitable foundations, action committees, voluntary employee beneficiary associations, and business leagues. He also organized and acted as general counsel for the Greater Miami Super Bowl XXIII Committee, Inc., a 501(c)(6) organization which was chartered under authority of the County Commission of Metropolitan Dade County, Florida, and also organized and obtained tax exempt status for the South Florida Host Committee Foundation, Inc. and the South Florida Super Bowl XXIX Host Committee, Inc. 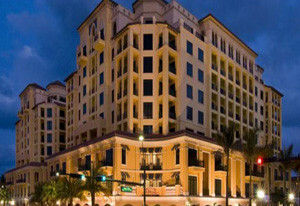 In representing a large Florida based health maintenance organization and other medical based clients, Mr. St. John organized, negotiated, drafted and completed the following: preferred provider organization (PPO); third-party administrator contracts; acquisition of a HMO; management services contract for the chemical dependency units of a chain of hospitals; and, obtained a favorable letter of intent by the Florida Department of Health and Rehabilitative Services to issue a certificate of need for the expansion of a psychiatric department of a major hospital located in Miami. Benefit and Provider contracts for HP America, Inc.
Acquisition by HP America, Inc. of numerous physician practice groups. Commercial Leasing: Mr. St. John has represented the owners in leasing out space for entire high-rise office buildings in South Florida. 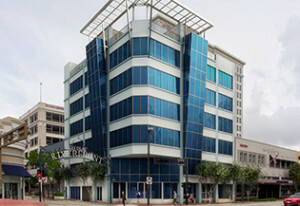 Other leasing experience includes a lease for an urgent care facility to a large regional hospital, cell phone tower leasing, roof-top satellite and microwave data transmission sites, drafted form of master lease for Terremark Worldwide’s “NAP of the Americas” which included the lease with Global Crossing, Ltd. Mr. St. John handled all of the leasing for The Miami Herald and did leasing work for Knight Ridder, Inc.
“Tax Implications of the Legal Entity,” Contributor, pages 114-117, Rappaport, 2013, “Star“, ABA Publishing; “Simplified Employee Pensions,” Chapter C-21, Bender’s Federal Tax Service, Matthew Bender and Company, San Francisco, California (updated 2002); “New Civil Actions in Florida,” Vol. 4, No. 3 Florida Torts Reporter 65 (March, 1991); “Taxation of Personal Injury Awards-Omnibus Budget Reconciliation Act Amendments,” Vol. 3, No. 7 Florida Torts Reporter 191 (July, 1990);” Sovereign Immunity Versus Tort Liability,” Vol. 2, No. 4 Florida Torts Reporter 1 (August, 1988); “Survey of Recent Major Developments,” Vol. 1, No. 1 Florida Torts Reporter 1 (August, 1988); “Florida Legislature Responds to the Medical Malpractice Crisis,” Vol. 1, No. 2 Florida Tort Reporter(August, 1988); “Qualified Retirement Plans,” Chapter 116,Florida Family Law, Matthew Bender and Company, San Francisco, California (1988); “Structured Settlements,” Chapter 142, Florida Torts, Matthew Bender and Company, San Francisco, California (1988); “Application of Sales and Use Tax to Services,” Chapter 51A,Florida Tax Service, Matthew Bender and Company, San Francisco, California (August, 1987); “Florida’s New Tax on Services, ” Florida Tax Alert, Matthew Bender and Company, San Francisco, California, (July 1987); “Tax Reform Act of 1986-Retirement Equity Act Amendments,” Vol. 2, No. 1 Florida Family Law Reporter 1 (January 1987);” Imputed Interest and Producer’s Loans,” 1 Export Tax Reporter 58, (May 1984); “Estimated Commissions and the Payment Requirement,” 1 Export Tax Reporter 62 (May 1984); “DISC Treatment of State Tax Refunds,” 1 Export Tax Reporter 43 (April 1984); “Financial Offsets to Fugitive Capital,” 1 Export Tax Reporter 45 (April 1984).”Co-author: “Tax Effects of Dissolution,” Chapter 37, Florida Family Law, Matthew Bender and Company, San Francisco, California (1986); “Tax Consequences of Marriage,” Chapter 111, Florida Family Law, Matthew Bender and Company, San Francisco, California (1986); “Foreign Corporations,” Chapter 14,Florida Corporations Law and Practice, Matthew Bender and Company, San Francisco, California (1985); “Private Foundations-An Overview,” The Complete Guide to Florida Foundations, John L. Adams and Company, Inc., Miami, Florida (1st ed. 1985).